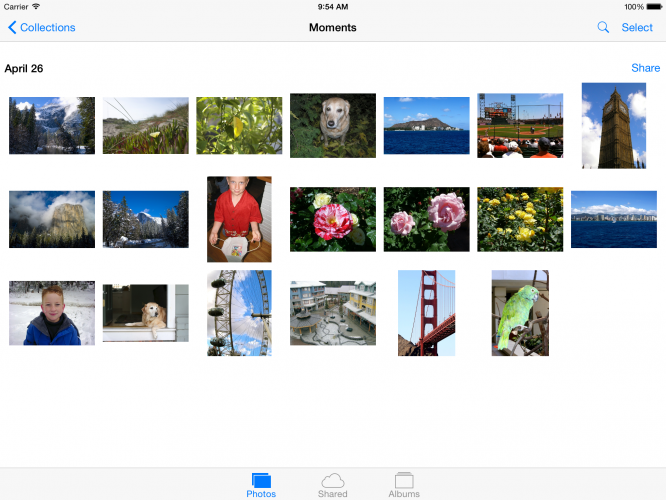 In this tutorial, you’ll get hands-on experience with UICollectionView by creating your own grid-based photo browsing app. 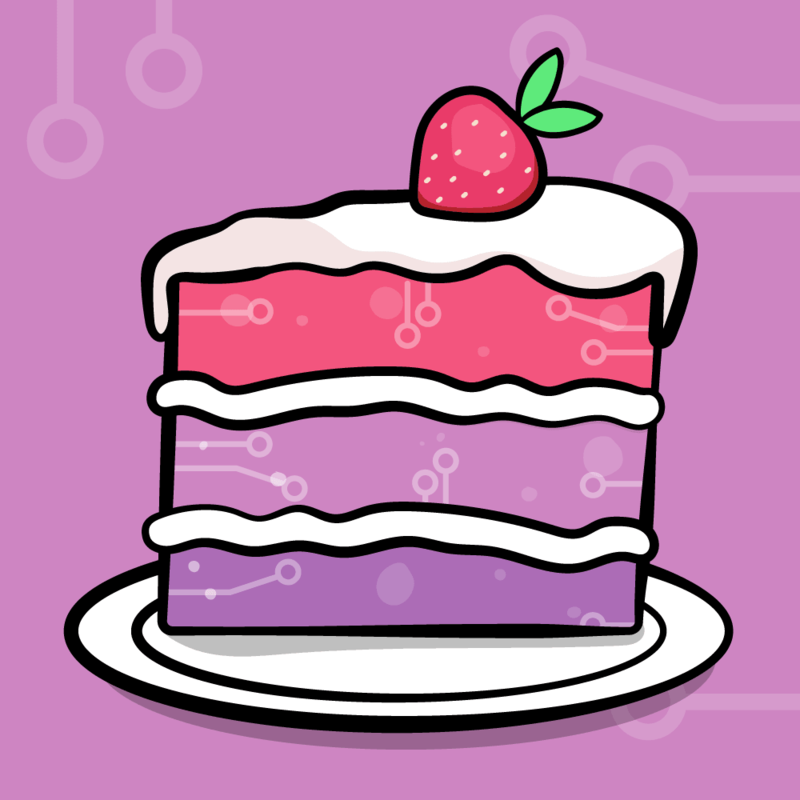 Update note: Brody Eller updated this tutorial for iOS 12, Xcode 10 and Swift 4.2. Brandon Trebitowski wrote the original. You can even transition between the two layouts with a cool pinch gesture. “Wow, I want that in my app!” you may think. UICollectionView makes adding your own custom layouts and layout transitions (like those in the Photos app) simple to build. You’re by no means limited to stacks and grids, because collection views are extremely customizable. You can use them to make circle layouts, cover-flow style layouts, Pulse news style layouts — almost anything you can dream up! 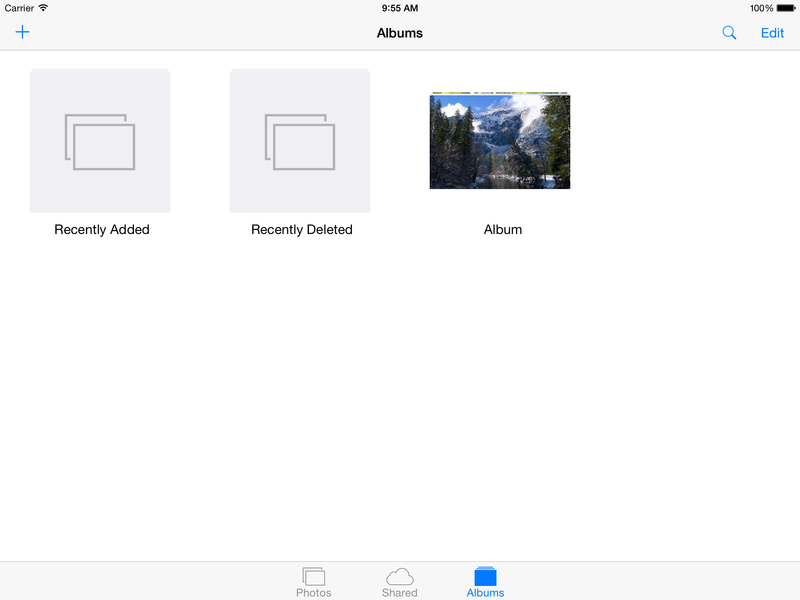 The good news is, if you’re familiar with UITableView, you’ll have no problem picking up collection views. Using them is very similar to the table view data source and delegate pattern. By the time you’re done with this tutorial, you’ll know the basics of using collection views and will be ready to start using this amazing technology in your apps! 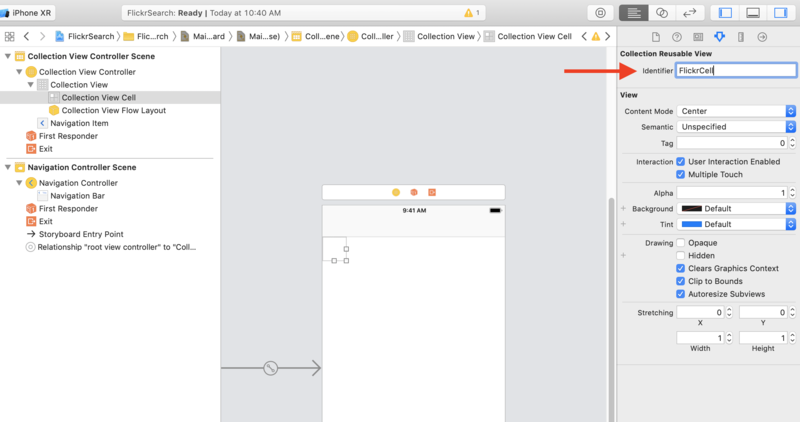 UICollectionView: The main view in which the content is displayed, similar to a UITableView. Like a table view, a collection view is a UIScrollView subclass. UICollectionViewCell: This is similar to a UITableViewCell in a table view. These cells make up the content of the view and are added as subviews to the collection view. 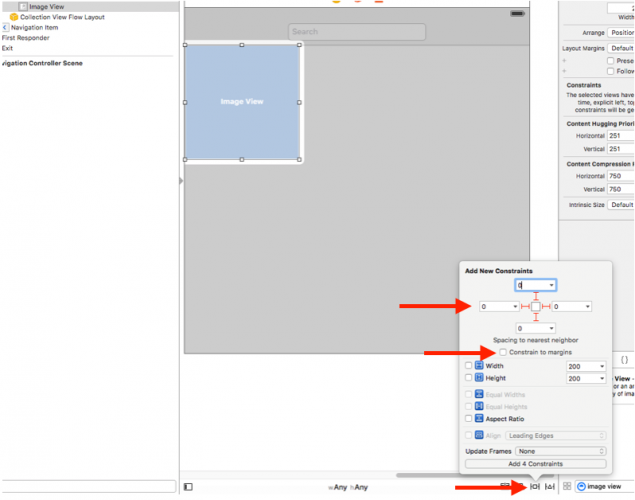 Cells can be created programmatically or inside Interface Builder. Supplementary Views: If you have extra information you need to display that shouldn’t be in the cells but still somewhere within the collection view, you should use supplementary views. These are commonly used for headers or footers. Note: Collection views can also have Decoration Views — if you want to add some extra views to enhance the appearance of the collection view (but they don’t really contain useful data), you should use decoration views. Background images or other visual embellishments are good examples of decoration views. You won’t be using decoration views in this tutorial as it requires you to write a custom layout class. 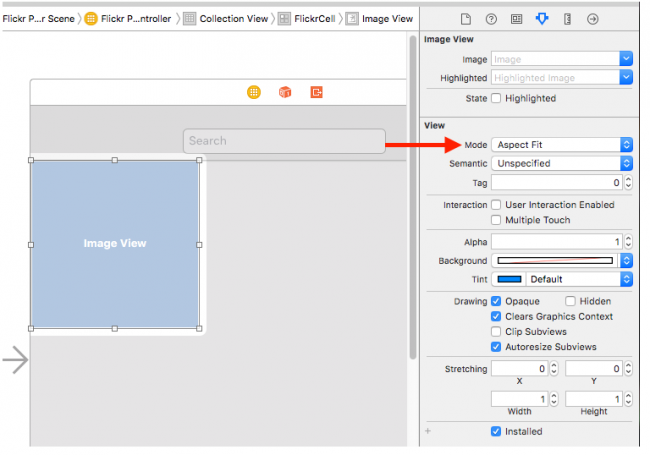 In addition to the visual components described above, a collection view has a layout object which is responsible for the size, position and several other attributes of the content. Layout objects are subclasses of UICollectionViewLayout. Layouts can be swapped out during runtime, and the collection view can even automatically animate switching from one layout to another! 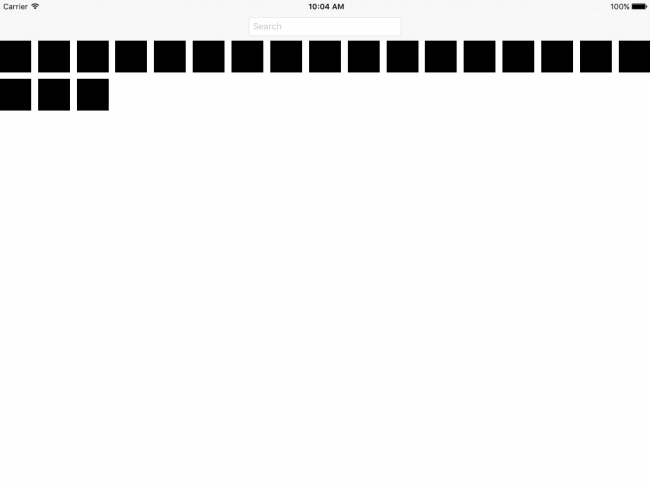 You can subclass UICollectionViewLayout to create your own custom layouts, but Apple has graciously provided developers with a basic “flow-based” layout called UICollectionViewFlowLayout. Elements lay out one after another based on their size, quite like a grid view. You can use this layout class out of the box, or subclass it to get some interesting behavior and visual effects. You will learn more about these elements in-depth throughout this tutorial. Now, it’s time to get your hands into the mix with a project! 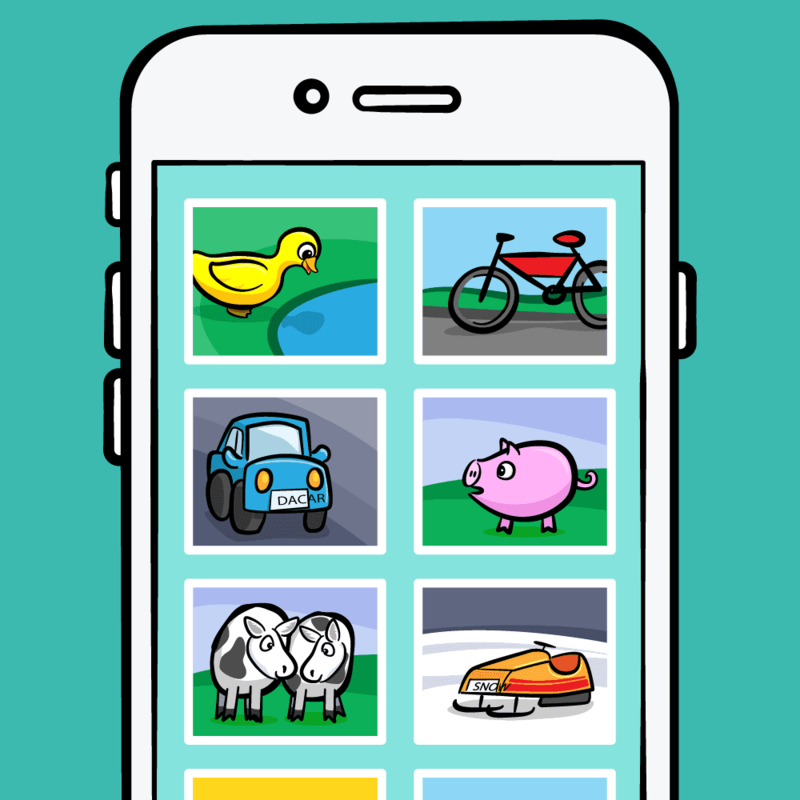 In the rest of this tutorial, you’re going to create a cool photo-browsing app called FlickrSearch. 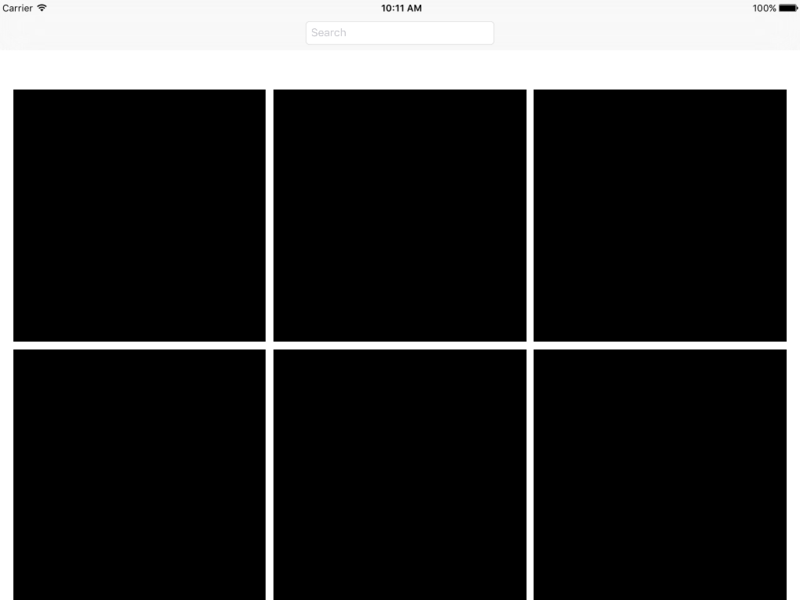 It will allow you to search for a term on the popular photo sharing site Flickr, and it will download and display any matching photos in a grid view, as you saw in the screenshot above. Ready to get started? Open the FlickrSearch starter project. Project files can be downloaded at the top or bottom of this tutorial using the Download Materials button. Inside, you’ll find an empty view controller and some files for interfacing with Flickr. Have a look around before you go any further. Open Main.storyboard and drag in a Collection View Controller. Go to Editor ▸ Embed in ▸ Navigation Controller to create a navigation controller and automatically set the collection view controller as the root. Note: Wondering what the Scroll Direction property does? This property is specific to UICollectionViewFlowLayout and defaults to Vertical. A vertical flow layout means the layout class will place items from left to right across the top of the view until it reaches the view’s right edge, at which point it moves down to the next line. If there are too many elements to fit in the view at once, the user will be able to scroll vertically to see more. Conversely, a horizontal flow layout places items from top to bottom across the left edge of the view until it reaches the bottom edge. Users would scroll horizontally to see items that don’t fit on the screen. In this tutorial, you’ll stick with the more common Vertical collection view. Select the single cell in the collection view and set the Reuse Identifier to FlickrCell using the Attributes inspector. This should also be familiar from table views — the data source will use this identifier to dequeue or create new cells. UICollectionViewController does a lot, but you generally need to make a subclass. Do this now. Go to File ▸ New ▸ File, choose iOS ▸ Source ▸ Cocoa Touch Class template and click Next. Name the new class FlickrPhotosViewController, making it a subclass of UICollectionViewController. The template has a lot of code, but the best way to understand what this it does is to start from scratch. private let reuseIdentifier = "FlickrCell"
You’ll fill in the rest of the gaps as you progress through the tutorial. Your first task for this section is to say the section title ten times fast. Flickr is a wonderful image-sharing service that has a publicly accessible and dead-simple API for developers to use. 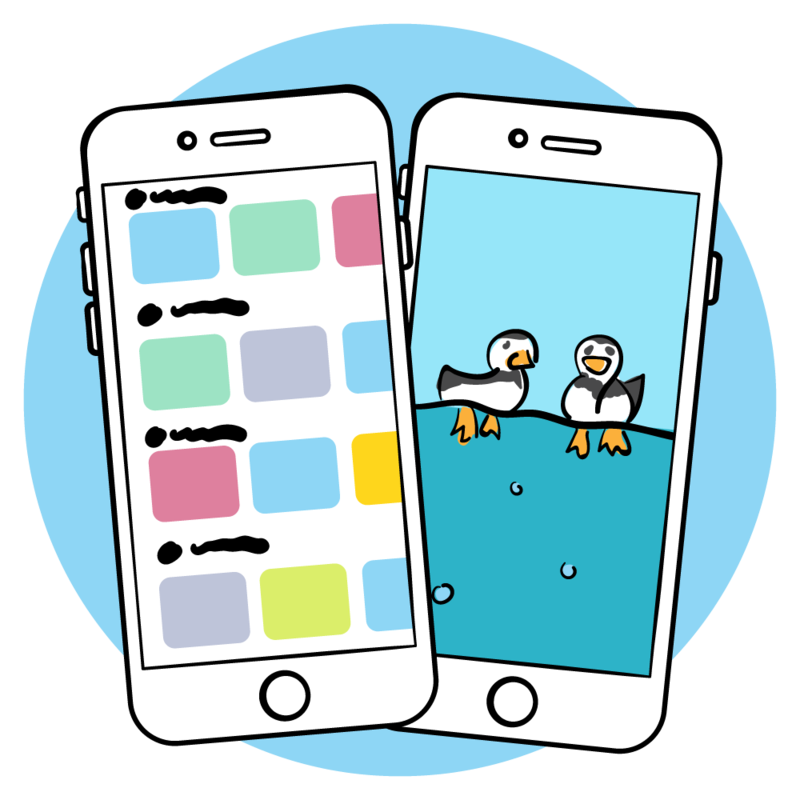 With the API, you can search for photos, add photos, comment on photos, and much more. To use the Flickr API, you need an API key. If you’re doing a real project, I recommend you sign up for one here: http://www.flickr.com/services/api/keys/apply/. However, for test projects like this, Flickr has a sample key that they rotate out every so often. You can use the key without signing up. Simply perform any search at: http://www.flickr.com/services/api/explore/?method=flickr.photos.search and copy the API key out of the URL at the bottom – it follows the “&api_key=”” all the way to the next “&”. Paste it somewhere in a text editor for later use. Note: If you use the sample API key, note that it changes nearly every day. So if you’re doing this tutorial over the course of several days, you might find that you have to get a new API key often. For this reason, it might be easier to get an API key of your own from Flickr if you think you’re going to spend several days on this project. Since this tutorial is about UICollectionView and not the Flickr API, a set of classes is available for you that abstracts the Flickr search code. 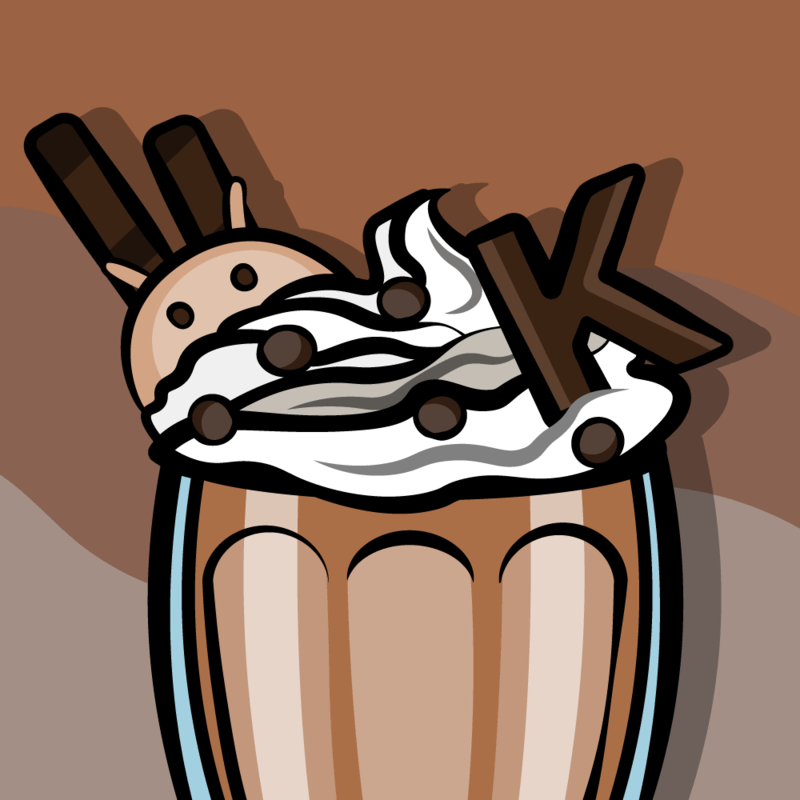 FlickrSearchResults: A struct which wraps up a search term and the results found for that search. 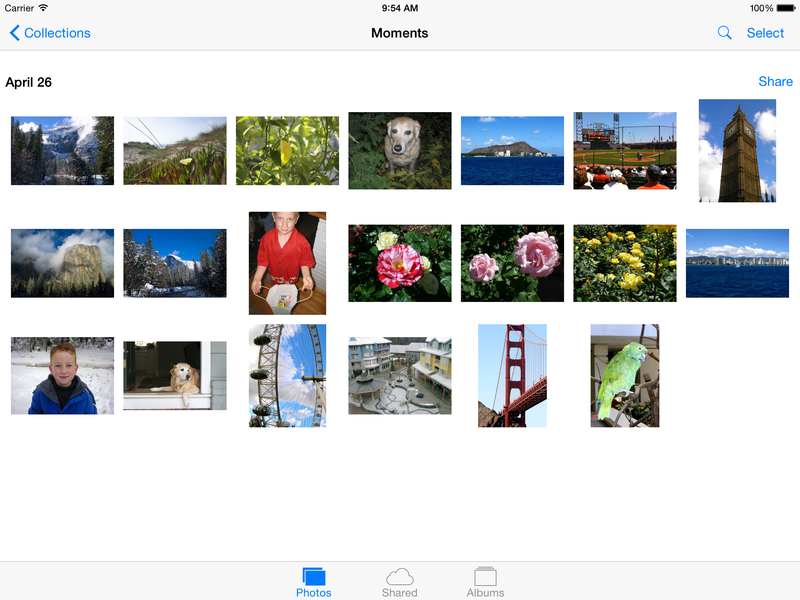 FlickrPhoto: Data about a photo retrieved from Flickr — its thumbnail, image, and metadata information such as its ID. There are also some methods to build Flickr URLs and some size calculations. FlickrSearchResults contains an array of these objects. Flickr: Provides a simple block-based API to perform a search and return a FlickrSearchResult. Result: An enum used for returning results from the Flickr API. Feel free to take a look at the code — it’s pretty simple and might inspire you to make use of Flickr in your own projects! When you’re ready to go, move on to the next section — it’s time to do a little prep work before hooking into Flickr. 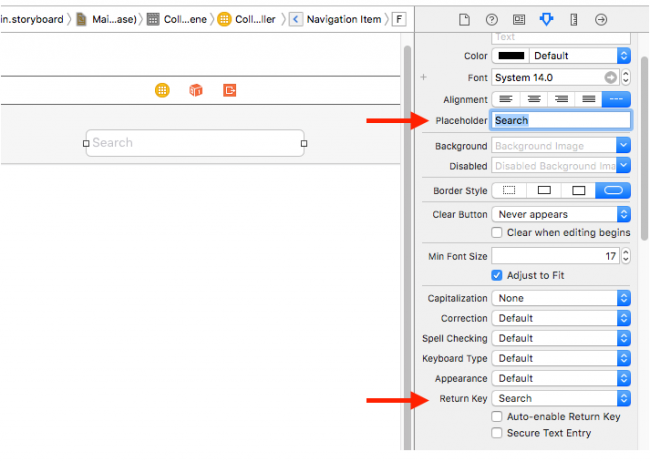 You’re going to build this project so that after each time you perform a search, it displays a new section in the collection view with the results (rather than simply replacing the previous section). In other words, if you search for “ninjas” and then “pirates,” there will be a section of ninjas and a section of pirates in the collection view. Talk about a recipe for disaster! To accomplish this, you’re going to need a data structure so you can keep the data for each section separate. An array of FlickrSearchResults will do the trick nicely. 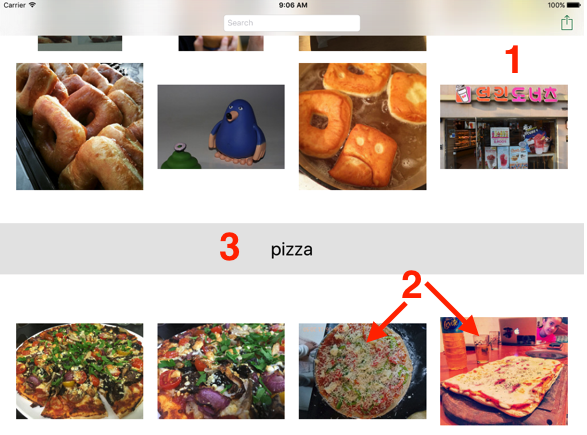 photo(for:) is a convenience method that will get a specific photo related to an index path in your collection view. You’re going to access a photo for a specific index path a lot, and you don’t want to repeat code. You’re now ready to get your Flickr search on! When the user hits Search after typing in a query, you want the search to execute. You already connected the text field’s delegate outlet to your collection view controller. Now you can do something about it. After adding an activity view, use the Flickr wrapper class to search Flickr asynchronously for photos that match the given search term. When the search completes, the completion block is called with the result set of FlickrPhoto objects and an error (if there was one). Log any errors to the console. Obviously, in a production application you would want to display these errors to the user. Log the results and add them at the beginning of the searches array. Refresh the UI to show the new data. You use reloadData(), which works just like it does in a table view. 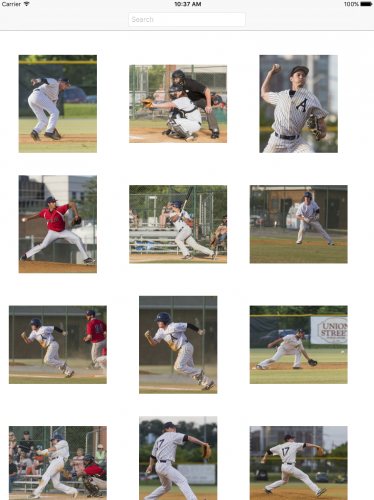 Note that the Flickr helper limits the results to 20 to keep load times down. Unfortunately, you don’t see any photos in your collection view! Just like a table view, a collection view doesn’t do much unless you implement the relevant data source and delegate methods. When you use a table view, you have to set a data source and a delegate in order to provide the data to display and handle events (like row selection). The data source, UICollectionViewDataSource, returns information about the number of items in the collection view and their views. 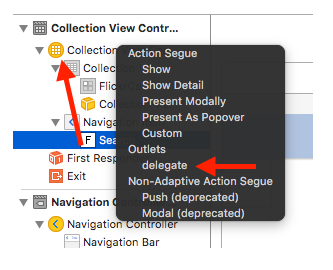 The delegate, UICollectionViewDelegate, is notified when events happen, such as cells being selected, highlighted, or removed. UICollectionViewFlowLayout also has a delegate protocol — UICollectionViewDelegateFlowLayout. It allows you to tweak the behavior of the layout, to configure things like the cell spacing, scroll direction, and more. In this section, you’re going to implement the required UICollectionViewDataSource and UICollectionViewDelegateFlowLayout methods on your view controller, so you’re set up to work with your collection view. The UICollectionViewDelegate methods aren’t required for this tutorial, but you’ll use them in this sister tutorial. There’s one search per section, so the number of sections is the count of the searches array. The number of items in a section is the count of the searchResults array from the relevant FlickrSearch object. This is a placeholder method just to return a blank cell. You’ll populate it later. Note that collection views require you to register a cell with a reuse identifier or a runtime error will occur. As mentioned earlier, every collection view has an associated layout. You’re using the pre-made flow layout for this project, since it’s nice and easy to use and gives you the grid-view style you’re looking for. collectionView(_:layout:sizeForItemAt:) is responsible for telling the layout the size of a given cell. Here, you work out the total amount of space taken up by padding. There will be n + 1 evenly sized spaces, where n is the number of items in the row. The space size can be taken from the left section inset. Subtracting this from the view’s width and dividing by the number of items in a row gives you the width for each item. You then return the size as a square. collectionView(_:layout:insetForSectionAt:) returns the spacing between the cells, headers, and footers. A constant is used to store the value. This method controls the spacing between each line in the layout. You want this to match the padding at the left and right. Build and run again and perform a search. Behold! Black squares that are bigger than before! With this infrastructure in place, you are now ready to actually display some photos on screen! One of the great things about UICollectionView is that, like table views, it’s easy to set up collection views visually in the Storyboard editor. You can drag and drop collection views into your view controller and design the layout for your cells right from within the Storyboard editor! Time to see how it works. 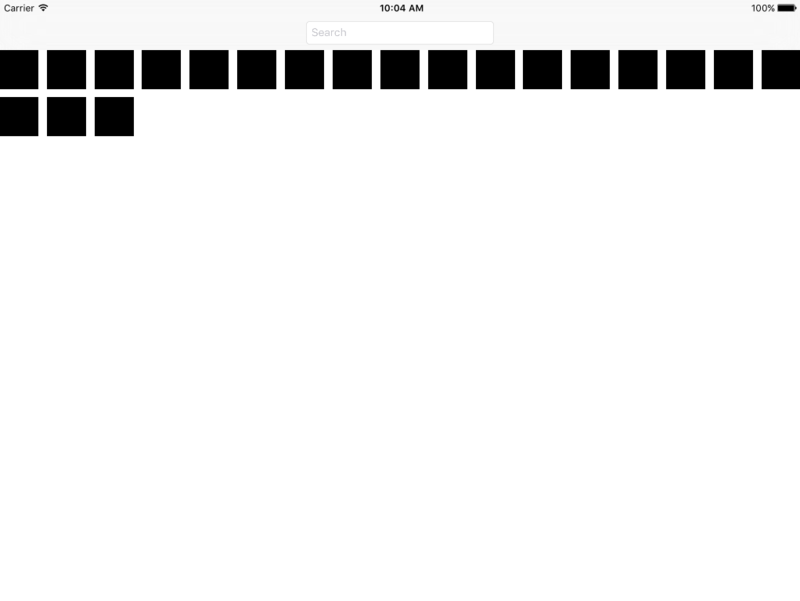 Note: Setting this size doesn’t affect the cells in your app, because you’ve implemented the delegate method to give a size for each cell, which overwrites anything set in the storyboard. UICollectionViewCell doesn’t allow for much customization beyond changing the background color. You will almost always want to create your own subclass to allow you to easily access any content subviews you add. Choose File ▸ New ▸ File and choose iOS ▸ Source ▸ Cocoa Touch Class template. Click Next. Name the new class FlickrPhotoCell, making it a subclass of UICollectionViewCell. This is a little different from the placeholder method you defined earlier. The cell coming back is now a FlickrPhotoCell. You need to get the FlickrPhoto representing the photo to display by using the convenience method from earlier. You populate the image view with the thumbnail. Build and run, perform a search and you’ll finally see the pictures you’ve been searching for! At this point, you’ve now got a complete working (and quite cool) example of UICollectionView. Give yourself a pat on the back! You can download the finished project below. Add custom headers to collection views. Easily move cells by dragging them. Implement single cell selection to bring up a detail view. 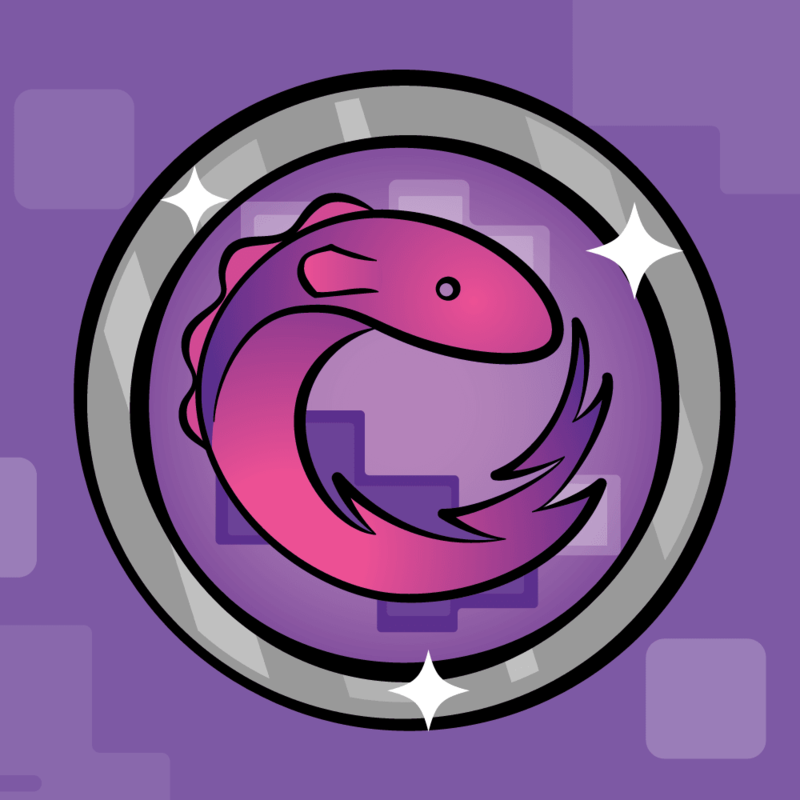 In the meantime, if you have any questions or comments on what you’ve learned so far, please join the forum discussion below!